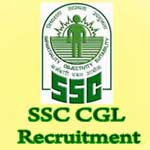 SSC CGL Recruitment 2017 – Apply Online for Combined Graduate Level Exam:- Staff Selection Commission (SSC) has issued notification for the recruitment of Assistant Audit Officer, Assistant Accounts Officer, Assistant Section Officer, Assistant, Assistant/ Superintendent, Tax Assistant, Inspector of Income Tax, Assistant Enforcement Officer through Combined Graduate Level Examination 2017. Interested & Eligible Candidates can apply online through official website of Staff Selection Commission. Online Application Process has started from 16/05/2017 and the last date for submission of online application is 16/06/2017. Assistant Audit Officer/Assistant Accounts Officer: Bachelorâ€™s Degree from a recognized University or Institute. Junior Statistical Officer: Bachelorâ€™s Degree in any subject from a recognized University or Institute with at least 60% Marks in Mathematics at 12th standard level. OR Bachelorâ€™s Degree in any subject with Statistics as one of the subjects at degree level. All other Posts: Bachelorâ€™s Degree from a recognized University or equivalent. Application Fee: Rs. 100/- (One hundred only) All Women candidates and candidates belonging to Scheduled Caste, Scheduled Tribe, Physically Handicapped, and Ex-Servicemen eligible for reservation are exempted from paying the application fee, as per extant government orders. Commencement of Online Application: 16/05/2017. How to Apply: Interested & Eligible Candidates can apply online through official website http://www.ssconline.nic.in. The last date for submission of online applications is 16/06/2017. Subscribe our Free Job Alert Mail Service for latest SSC CGL Notification 2017.